The Phillies made a few other moves, a little less surprising, as they move toward their opening day roster. You probably aren’t aware that I deleted all entries on the Comment Black List last November or December. So, Phuture Phillies has been open for anyone to post a comment. Today, I added the first name to the new Black List. First of all, I found his handle offensive. Second, his comment was intended to pick a fight. Third, he hadn’t commented on this site as he insinuated. Ever. So, he couldn’t have made the prediction he claimed to have made, which wasn’t such a bold prediction, anyway. And finally, his e-mail server does not exist, so therefore I assume his email account is also bogus. The deal includes a $1M buyout. Jake Arrieta will make his debut on April 8th against the Miami Marlins. He will pitch in Tuesday’s game against the Pirates at Spectrum Field. After that his work out schedule is a little sketchy after he attends the opener in Atlanta. Aaron Nola is scheduled to start the opener on Thursday. Nick Pivetta is scheduled to start on Friday. Vince Velasquez is scheduled to start on Saturday. A few days ago, Tommy Joseph was claimed off waivers and Eliezer Alvarez was traded to the Rangers for cash. Yesterday, Francisco Rodriguez was released. Sunday was particularly busy. The contracts of Scott Kingery and Drew Hutchinson were selected from Lehigh Valley. Jesse Valentin was optioned to Lehigh Valley. And, Ricardo Pinto and Cameron Rupp were designated for assignment. 33 players remain in major league camp – 32 are on the 40-man roster and 1 NRI (Will Middlebrooks, broken fibula). Two on the Forty are injured and are expected to start the season on a DL (Jared Eickhoff, mild lat strain and Mark Leiter, mild flexor strain). Just two spring training games remaining – Pirates at Bradenton on Monday, Pirates at Spectrum Field on Tuesday. Last five days of minor league camp for the Phillies’ AAA, AA, and A+ affiliates. The minor league spring training schedule is available here. The Phillies’ eXtended Spring Training schedule starts on April 9th and is available here. Sunday was a camp day. I skipped the intrasquad games. But there was this. Saturday, Groups One and Two played the Blue Jays at the Complex. Lehigh Valley’s coaching staff returned from major league camp and took over Group One. Each coaching group moved down one, so that the Groups match up with the levels – Group One = AAA, Lehigh Valley; Group Two = AA, Reading; Group Three = A+, Clearwater; Group Four = A, Lakewood; and Group Five = Williamsport/GCL. Enyel De Los Santos started the AAA game and threw 4.2 innings, allowing one run on four hits. He was replaced by Seranthony Dominguez with a runner on first. He was caught stealing by Logan Moore. Dominguez pitched a scoreless inning and turned the game over to Tyler Viza who also tossed a scoreless inning. Alexis Rivero gave up the tying runs as the game ended 3-3. Rhys Hoskins drove in all three runs with two HRs one to RF and one to the right of the scoring eye in center. Tom Eshelman started the AA game and gave up one run in 4.0 innings. He didn’t walk a batter but he did hit one. He gave way to Aaron Brown and Luke Leftwich. Luke Williams had a couple hits. as did Haseley, Moniak, and Jose Gomez. Moniak’s was a line drive to center. The group lost 7-0 (I think). Eshelman completed his work for the day in the bullpen with Cornelius Randolph standing in the box with a bat. My grandchildren arrive tomorrow for 10 days. Reports may get even more spotty during their visit. August 19, 2018 – Phillies v. Mets in the Little League Classic in Williamsport. The organization’s injury list retains the injuries at the end of the 2017 season. All are expected to be okay by the start of spring training. The organization’s Rule 5 eligibility list is as accurate as I can make it FOR 2018. Id consider them all expendable and could be traded without destroying the farm system, yet valuable enough to bring back a good pitcher with some combination of three or four guys. Ahoy, what about Nick Williams, surplus of outfielders? With the Kingery deal, I believe the brass has put the pedal to the metal and I’m pretty jacked. I also think something is in the works. With Arrieta due to make his first start April 8, a four man rotation (and 8 man bullpen) allows for 5 on the bench. 2 ….and more likely to me, a deal involving Cesar Hernandez (which perhaps may have already been agreed to) for some combination of prospect(s)/international money/competitive balance pick(for which a trade can’t be announced until after the regular season begins). We’ll call this the Hinkie Option. Cesar can play but one position and doesn’t fit the bench role. He certainly doesn’t impress me as the lead off man at this point, either. I have to say Matt Klentak has shown some bold colors of late. The one aspect of the roster which hasn’t been settled yet is the back end of the rotation. I’m confident we’ll be buyers at the deadline. In any case, Kingery would fill in nicely at any of three positions as a super U guy – 2b, 3b and CF. (I think ss in a pinch but not ideal for him.) The present starters at those positions should be on notice. Their wick has been trimmed, IMO (though while analytically speaking, Klentak has liked Herrera’s profile and Franco’s launch angles and exit velos – their market value may come in handy later this season). 8mark … Cesar to the Diamondbacks for their comp A pick and some J2 dollars makes a lot of sense. Because of the Santana and Arrieta signings, the Phillies are forfeiting their second and third picks. So, in essence (while Arizona would give up the 1-39 selection), the Phils would only net their own third round pick. The difference in slot dollars between those two picks is almost 1.1 million dollars (1.85 million for 1-39 to only 767 thousand for the third round pick). Therefor, it would be wise to piggyback a second trade for another comp A pick, A second comp A pick would also be lost, but it would give the Phillies their second round pick (worth about 1.65 million slot dollars) back. My #1 target for a comp A pick has always been Baltimore. Klentak could give the O’s an excess arm(s) and/or eat a bad contract. However, the Orioles have now lost their second round pick because they signed Alex Cobb, so not sure how eager they would be to trade their comp A pick now. The Indians, Rockies, and Cardinals are all contenders who have comp A picks. The Royals may be rebuilding, but they have five of the first 58 picks so maybe they would take an upper level prospect (Efflin, Eshelman, or Anderson) for their comp A selection. Good work, Hinkie. I knew you were working on this. like the thinking; though i was figuring Arizona wanted to give Marte an extended look (and now seeing they just gave him an extension) plus have Owings sitting there. was wondering about Pittsburgh and their comb pick- if they want to move Harrison for a prospect, but they dont have a prospect second baseman really, and CeHe would cost less $ than free agents. Thanks Jim for all the work, enjoy the grand kids. It’s not like minor league rosters will be set over the next 10 days or anything…. haha. The Kingery move excited the fan base but it also excited the players. I don’t believe a trade is coming because I don’t think there is a trade partner at this time unless the Dodgers decide to make a move due to Turner’s injury. I don’t expect it to happen. The move puts Quinn vs Florimon for the last spot and it will depend on whether Quinn or Kingery can play adequate SS because we need a backup SS on the roster. I’m ok with Hutchison on the roster, he earned his spot and he is only 27. I think he’ll get the long man job and Lively the 5th starter with Eflin to AAA but we’ll know soon. Go Phillies! Then we can get started on determining the minor league rosters. Maybe not Thompson, but it is reasonable to assume that Klentak is in touch with the mentioned player’s agent. Phils have control over JPC, Rhys and Alfaro until after 2023 and Rhys and Alfaro are already 30 yo and JPC at 28 yo by the time they are free agents. Rhys might be the one who wants to let is play out and since he can get big $ during the arbitration years and higher $ when becomes a FA. I can see JPC signing a team friendly long term contract similar to Doobie. He would be the one that I would concentrate on signing up for a long period of time…2022 is his FA year and he will be 29 yo that season..
Now pitchers are different in that they can get that late20s/early30s big pay out, so it could be a hard sell to get Nola signed up long term beyond 2922. I think Kingery will play everyday. That will put 6 outfields on the opening day roster maybe . 1think VV and PV will be given about 10 start’s each. If there is some improve they stay in the rotation. However if any of the AAA rotation is fire that pitcher might get a shot. I mean PV era was 6.10 and VV had one over 5 plus his health . If the Phillies are with in ear shot of the playoffs by the trade deadline . They will go after Cole Hamels. In think the rotation will look like this come AuG 1 Nola, Arrieta, Hamels, Elseman,lively. Quinn just optioned to AAA so you’ll need to revise. 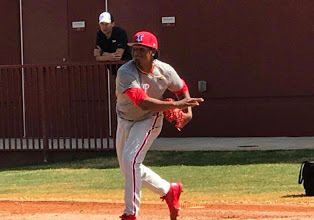 The way Jim Salisbury talked about Enyel De Los Santos on Saturday, after he pitched in the triple AAA game, he could be the next best pitching prospect outside of Sixto Sanchez. Still want to see his performance thru the season vs the likes of Kilome, Medina and Eshelman. I love what they did with Freddy Galvis – trading an established player for a rising young prospect. It’s what I hope they do with Cesar (it’s hard to see a role for him going forward past this year – even mid year). As for Altherr, I’m a big fan – I’m keeping him around. Also, the Kingery contract is one of the more brilliant things I’ve ever seen done in baseball, let alone done by the Phillies. And, while we’re at it, they cut the right catcher. They’ve done a super job this off season – it evolved slowly, but I really love almost everything they’ve done. Catch, I’m almost sure that very few here think this way but I LOVE C. Hernandez as a lead off because of his speed and OBP. If Franco is having another crappy season , I wouldn’t have any problem keeping Cesar in 2b and Kingery in 3b. Jim enjoy your time with the grandkids. Romus where is the black list?? I wonder how JP and Rhys feel about Kingery deal? It wouldn’t necessarily surprise me if Klentak hasn’t had similar discussions with their agents … particularly Hoskins. The player who signs the contract runs the risk of being seriously underpaid through some prime seasons if everything comes together, so it’s not a gimme that anybody would sign it. Very happy. They’re a close group. JP has talked often about what he thinks of Kingery. This is a group who have won lots of minor league games together and expect to be winners in the majors. This is our next winning group of Phillies players. Enjoy the ride up the mountain everyone. This year 82 wins, next year the playoffs and in 2020 the World Series. The Kingery deal could be a push to Ceasar,JP or Franco. It’s not that they are not motivated already. But if they don’t perform Kingery could take their job or some of their playing time.It’s a good problem to have if Kingery performs up to expectations himself. I don’t think they did the Kingery deal to push anyone, although that is a pleasant side benefit to the deal. They did the Kingery deal because, if he even gets close to panning out as planned, they’ve signed a great player to a great contract. Not expecting a lot of responses for this, but just throwing it out there. The more I read/see of Logan Gilbert, the more I like. Extremely smooth, repeatable delivery, which produces seemingly effortless velocity. If he can refine his feel for pitching (he was a position player not too long ago; seems to give up a lot of fly balls) whoever gets him could be getting a true stud, possibly in the same mold of fellow Stetson alumni such as Corey Kluber and Jacob DeGrom. I’m glad you brought up Logan Gilbert. Over the weekend, I was thinking about the draft (I’m actually always thinking about the draft). I believe it is becoming more and more clear that Casey Mize is the cream of the crop for this draft class. The Tigers would be crazy not to select him. Nick Madrigal is the safest pick and is also from northern California. He makes too much sense for the Giants. I have liked Nolan Gorman for the Phillies. However, from what I’ve read lately, there are now now questions about Gorman’s ability to stay a 3Bman for the long term. If he looks good this week at NHSI Tourney, I think he’s a good pick at 1-3. If not, who should the Phillies draft ? Shane McClanahan is a guy who gets a lot of love. Until this weekend, he’s been great. The fact that he’s a hard throwing LHSP makes him even more special. I have really liked Jeremy Eierman for over a year now. He can play either SS or 3B. The two college pitchers who are flying under the radar for 1-3 are Ryan Rolison and Logan Gilbert. Both guys had spectacular summers on the Cape, and were mentioned as possible 1-1 picks last fall. Rolison may be the safest pitcher in the draft. He’s LH, can throw 94-95, has a plus breaking ball, is a strike thrower, and gets very high marks for his polish and mound presence. Gilbert had a superior FB last summer (threw 97 MPH). Just as importantly, he (according to trackman data) has freakish extension. On the Cape Gorman got 7’6″ of extension. That’s significantly higher than elite pitchers with elite extension in the big leagues like Noah Syndergaard and Stephen Strasburg. So far this season, though, Gilbert’s velo has been a tick under what it was last summer. There’s still 10 weeks until the draft. As things warm up, Gilbert could regain a little more on his FB and become a real possibility for 1-3. There is a large group of high ceiling HSSP’s, but I would be surprised if the Phillies gambled on one at 1-3. To me, Rolison (assuming Mize and Madrigal are gone) seems like the kind of guy Johnny Almaraz would be most likely to draft. Gilbert is certainly right up there. MLB has him at 16 before this season began…i am sure he climbs up as his performance so far after 40 plus innings has been exceptional….with 13K/9. I got the Logan Gilbert scouting report last fall from Frankie Piliere (formerly of D1 Baseball.com, now a Mariners’ scout). Looking at the playoff teams last yr. Most of there rotation was bought. The Dodgers with there great farm sys. Brought Hill, Wood ,Ryu, Meada.Boston Sale,Pom, Porcello, D Price, . The Cubs off course who started the buy the pitchers build the bats . There all have at leased 2 lh pitchers and at least 1 Korean pitcher. Another ? What if Machado wants to stay at SS next yr. The Phillies are interested what would they do? The Phillies really have a wonderful problem on their hands. They are loaded with talented young infielders and outfielders. They have at least a full year to figure out who they should keep and discard before they decide to spend huge money on a guy like Machado. I’m not saying that there is any player on this team who is likely to be as good as Machado – he’s probably a cut better than any other guy will be including Kingery and Hoskins. But that’s beside the point. The point is what is the incremental cost of the upgrade he will provide? If Franco were to blossom into a 4 WAR player or if Kingery were to play third and could be of a similar worth, then maybe you can save that money for other players. And by the way, I’ve become very interested in Valentin – his breakout is a bit below the radar but it could be almost as significant as Kingery’s, but we need him to get 200 ABs in the minors to see how much of the ST showing was real and how much was imaginary. But he looked great this spring. There’s lots of love for Machado on this board .I’d rather have Harper but with the Machado move to SS I was wonderihg what people though.he would replace JP not Franco. Agree that Harper is the better fit – LH and can play RF. But I don’t agree with you on Machado. Machado moving to SS not necessary can make JPC useless. JPC can still be defensively good at 3B. If you counter that JPC doesn’t have the power profile of a prototypical 3B — well, that doesn’t matter because once you have Hoskins, Machado, Alfaro and Altherr/Williams – and if you consider Santana at 1B and Kingery at 2B — there’s enough power in the line up. I didn’t say useless Jp could play anywhere defensively . Franco is the better 3rd baseman . Jim – you told me that Baltimore was holding a spot for Flaherty. I guess the Braves outbid them. Flaherty is a major league utility guy. However, Florimon has performed so well last year and again this spring, he has to make the team. And they need a good SS backup and that’s Florimon. It just bothers me to send Quinn down. Play well and earn your way back Roman! I’m a bit upset with Quinn being sent to AAA. I’d carry one less pitcher to make room for him. I get the feeling he will get hurt at AAA and the team will never really get his true value at the mlb level. Reminds me of a RB … in that you need to limit him to get the longevity out his career. Me, too (upset with Roman Quinn starting at LHV). That’s gonna’ hurt my wild prediction that Quinn would start 80 games for the Phillies this season. Looks like the top four in that Pigs; lineup will be Quinn, Valentin, Pullin and Cozens. From 5 thru 8….who the heck knows what order! Quinn won’t be at AAA for all that long if he’s as good as he looks. The team needs to display other players (such as Cesar) for sale and once that happens, I expect Quinn to be back. And he really could use some at bats for now. Yeah……Quinn could use every day ABs until the call up…just stay healthy..
Yeah I think this is better for him. I don’t see Florimon getting a ton of playing time. Kingery’s going to get the first crack at 2B, SS, and 3rd on days off and Williams/Altherr will have the first crack at RF, CF, and LF when guys need days off. I’d rather have a guy like Florimon as the 25th man than Quinn even if Quinn can offer more as a defensive substitution/pinch runner. Nix Rosales he was released. http://www.prospectdigest.com/2018/03/01/philadelphia-phillies-top-10-prospects-for-2018/ found this prospect list pretty good. Different look slot more numbers based. There is some head scratchers…Ortiz at 2…Kingery at 8 for two right there. the ranking lose its credibility when Randolph made the Top 10 and above Kingery. Yes, I agree on those rankings are way off, but the rest of the write-ups and analysis are pretty good. Obviously, he has entirely missed the boat on Kingery whose ceiling is probably 4-6 WAR and not 2.5-3 WAR – but he gets a lot right on the other prospects. I think it’s more numbers based Romus he did give a pretty good reason why Ortiz is second. Kingery your right but every list has its question marks. I wouldn’t be surprised to see Ortiz at the #2 position at the end of the year, but not with Kingery still on the list. I’m not sure what that says for Moniak/Hasley. I see them 2,3,4 by the end of the year. Fangraphs ,zips have comps for the Phillies players . Nola comp ” Doc Holiday”. If NOLA becomes a Holiday I kiss your. blank in macy window. Romus I know what I see romus. I See a pitcher who cant win without his good fastball and he doesn’t have it a lot of starts. Until you prove me wrong this guy is 500 or less pitcher. I Stand by what I said he is 24-22 lifetime with almost 4 era. so five hundred it about right. Still think he was wrong pick at seven. Romus Halladay first three years was starts nola has 60. guess that doesn’t matter/. Fangraphs rates rotations Philles came in 14 in all of baseball. Very Nice congrats. Zac Efln optioned to AAA. I’m still not sure what role Hutchinson will take. He can replace Leiter as the projected long arm or be the #5. Heard he is starting on Monday. Kingery hits another HR. Kingery is in the middle of one of the hottest debates in this site. If Kingery can perform the same level at the majors — Klentak should no longer worry what happen to Cesar on whether he can extract value from him or not. Just play the best player they have in the team. As Howie Roseman said, you cannot be sentimental in making the team competitive. As I said before, the best time to move Cesar was last year. And that applies to Doobie too. This is where you are critically wrong in my view. Kingery being very valuable really doesn’t and shouldn’t make you treat Cesar as being any less valuable than he is – which, frankly, is pretty darned valuable. He is a lot more valuable than Freddy Galvis, who fetched us a very good prospect. In my view, organizations often make their biggest mistakes when they have two very fine young players competing for playing time and view the young player they do not intend to keep as relatively disposable. In the late 90s, the Astros had a young, hot-shot outfield prospect named Richard Hidalgo who was chosen as a right-fielder ahead of another young prospect who had less power than Hidalgo. That other outfielder was Bobby Abreu, who the Phillies acquired for a song because the Astros needed a shortstop and were willing to take Kevin Stocker. That trade was insanely bad the moment it was made. The Phillies must avoid stupid mistakes like this at almost all costs (and I bet they will). Sooner or later, the Phillies will get a decent offer for Cesar – so they shouldn’t sell him or Odubel at a bargain basement price (assuming they should sell Odubel at all). @catch – i’m not sure why you keep saying that i’m undervaluing Cesar. I’ve said this a lot of times – trade values are dictated by market. Not by WAR and not by anybody. It’s for the GM to assess whether the current market provides the best value or not. Your definition of “valuable” is subjective and will not argue with that. My point for almost 2 years now is that the Phillies future 2B is Kingery and he is coming. So whoever is the path blocking Kingery is expendable. Cesar is a good player and can be “valuable” as you said but Cesar is expendable with Kingery coming up. A player can be both valuable and expendable – and that’s what Cesar is right because of his inability to play multi-position. Klentak will be lucky if he can extract the value that what most of you here are asking. Of course he’s expendable. We’ve all been saying that. But his being expendable doesn’t mean he isn’t valuable and degrading his value because he’s expendable is, in my view, a big mistake and one, by the way, I don’t think the Phillies are making right now. Wow…how about that…Astros kept Hidalgo over Abreu. Abreu ended up career 40WAR more thanr Hidalgo. @catch – FO’s crucial mistakes are tolerating mediocrity. Teams need to have good talent and strong leadership. Good people don’t follow any mediocre leaders. I attribute the tolerance of mediocrity (poor leadership, poor scouting, poor resource management, poor player development, etc) as one of the reason for the fall of the last great Phillies team. Sorry, but this is nonsense. Cesar isn’t mediocre. He’s just not as good as Kingery. They are not tolerating mediocrity by keeping Cesar on the team for a while as they search for the proper trade partner. @catch – you really like connecting bad words and make it a point that i hate Cesar. you are struggling to prove that i hate Cesar and you just keep on digging. i have to give you an A+ for your creativity and spinning a point about FO failure and make it a Cesar hate. my post is about FO and not Cesar and none of it implied that Cesar is a mediocre player. i said numerous times that Cesar is a good valuable player but he is just expandable. for an organization to fail, mediocrity starts from the top. from poor decision making, lack of foresight, hiring bad coaches, not holding people accountable, etc. Lol – I don’t think you hate Cesar. I think bad decision making starts with upper management trading assets for less than what they are worth. The Phils did this with Ryne Sandberg in the early 80’s. @tim – that’s my point. Some of us here expects a high price for Cesar – that’s why my suggestion of moving Cesar for 2 years now (as his value will continue to decline as time pass by) rubs people in a wrong way and thinks that I undervalue Cesar. Of course, I want a stud for Cesar. But my opinion (or anyone’s opinion here) cannot dictate how much value Cesar can get in the market – so the over(under)valuing of a player is not for us to decide. It will take a contending team with a big 2B hole to extract good value from Cesar. If Klentak cannot flip Cesar for a good return — his mistake is not getting a good return, but a lack of foresight. “I want a stud for Cesar”……..that may be the issue that Matt K is facing and has faced over the winter..
Studs may not be what other GMs think Cesar’s return value is. And there is only a certain market available for Cesar right now. Detroit may be one….but not sure what other teams would have interest. I think Cesar will have to be included in a package with some arms, to adequately get any value in a return package. @romus – we’ve discussed DET before and I thought that it’s going to happen when DET traded Kinsler. However, with the trade of Verlander it looks like that DET will not attemp to compete but rather do a short term reboot and unload their vets. Cesar may not fit their timeline. My approach will Cesar is get the best that you can. Of course there still a risk that Kingery will not perform as expected, but I’m not that worried because the Phils can address that risk via FA or farm (Valentin, Gamboa, Brito, Guzman, Gonzalez). I don’t understand why they HAVE to trade Cesar. If they sell low on him it’s a terrible move by the team. If the Cubs can balance Baez/Zobrist/Happ/Russell why can’t the Phillies balance Kingery/Hernandez/Crawford. It’s important to have depth. Hernandez missed a month last year, having a player like Kingery get those at bats instead of Florimon or Valentine is key to this team competing. The at bats will be there. Unless players asked to be traded, GMs trade players since they are valuable enough to get something in return. It is more obvious that Kingery is the future 2B and he needs as much opportunity and time to complete his development before he reached his peak. That will make Cesar an expensive back up 2B/insurance since he cannot play other positions well. Klentak might sell low on him, but Cesar is turning 28 yo and his value will continue to decline (like Jahlil Okafor) just sitting behind Kingery. Juggling players might be a good idea in NFL, NHL and NBA, but not as much in MLB especially for young players who need all the time to complete their development. If in case Kingery need to miss time, Valentin can provide the same value as Cesar as the back up 2B. If the best you can get isn’t worthwhile then in my opinion it is best to keep him. There’s plenty of at bats to be had in the infield. Is Kingery the future at 2nd base? Yes. I don’t see Hernandez being here for more than at the MOST until he has 1 year of control left, but you don’t get rid of good players just to get rid of them. Depth is a beautiful thing. Who’s to say someone doesn’t have a season ending injury and makes this whole discussion moot? I don’t see it as being a big deal if Kingery/Hernandez/Crawford/Franco start 140 games instead of 150+. I really don’t. Someone is going to get hurt or under perform and then you evaluate from there. If there’s a good deal for Caesar or Franco at the trade deadline by all means go for it but I think you set the team back if they trade Hernandez just to trade him. 1) Undervaluing of Cesar – as I mentioned earlier, the value of a player is dictated by market. If GMs think that Cesar is such a valuable player, then, they should have no problem giving up assets for him. 2) Disrespect on Eickhoff – I’ve seen this numerous times. the old adage said that “respect is earned and not given”. Eick is a good player and probably a nice person, but he hasn’t accomplished anything yet to get that “respect”. IMO, any criticism to Eickhoff (because he has a lot), is a valid criticism, not a sign of disrespect. Actually, I don’t see him in the future rotation (Nola, Sixto, Medina, JoJo and Rule IV draftee) so just like Cesar — I’m not undervaluing or disrespecting Eickhoff — he is just expendable. So it’s up to the GM to assess the market value to extract good returns from him. Of course Cesar’s value is dictated by the marketplace, but the GM’s job is to maximize that value and not to give him away for a bag of beans. Also, the GM has to do the best he can to game the marketplace and perhaps not make any deal if the market is irrationally low. I think the Phillies are likely to get more for Cesar if they look for lower minor league prospects. They should be re-seeding the fields with this trade. This is where we need outstanding talent evaluation to shine. @catch – although you think I’m undervaluing Cesar, you just echoed what I’ve said about his potential return. You don’t need to believe me, but you should know that Kingery is the future 2B. Cesar will be an expensive 2B bench person if not traded this year. I’ve said this before, Cesar will become Jahlil Okafor. Except that Cesar is a vet who has proven that he is a valuable player of the course of several years. Okafor is a non-contributor: as evidenced by his continuing to stink it up in Brooklyn. Come on. Jahlil Okafor was a largely useless and outmoded player. Cesar has played years to 3 and 4 WARs. He’s a very good player. I think this offseason may be the best time to market some of our guys. I wouldn’t rule out keeping Hernandez, moving Kingery to 3rd or the OF (depends on if they sign Machado or Harper) and flipping Odubel. I could see teams that lose out on Harper, Blackmon, Pollock, etc being interested in Odubel with his team friendly deal. Or maybe the Dodgers make a run at Hernandez once Forsythe becomes a FA or the Twins prefer him to resigning Dozier, etc. there’s no rush in my mind to trade him. Eickhoff’s problem is he has not found the lost couple of MPH on his FB that is the difference between him being a #3 and a #5 – seriously, the difference, for him, is that dramatic. Just signed Alexi Amarista for LHV. He played all last year for Colorado Rockies: 2B, SS, 3B, 29 years old. He is replacing Flaherty who opted out. They have to decide who plays SS at LHV. This guy may start at SS with Valentin at 2B. It depends on what they decide to do with Canelo. 2b, LF, CF, RF, so I see him playing a different position everyday. i also saw him play and he is not good. Amarista will not be better than the prospects the Phils have in AAA. Quinn would appear to be playing some shortstop at LHV also…..assume one reason for sending him back down there to get more time at the position. He played nothing but SS his entire season at Williamsport and part of the following season at Lakewood. It was painful to watch. Cameron Rupp just outright released…. For all you Jacob Hernandez lovers, he just pitched in the Phils game. He only threw 87-88 and gave up two hits. Singer also pitched and threw an easy 94/95. His arm could carry him to Philly. I’m going to watch that game on TV. I wonder if Hernandez has one of those crazy deceptive Sid Fernandez deliveries where an 89 MPH FB looks like a 97 MPH FB – it’s weird, but it does happen, especially with lefties. Does look like El Sid on the mound. I’ll watch the game – I will know almost immediately if he has that type of pitch. FYI – I did watch the game. Stuff is mediocre. He’s no Sid Fernandez. Speaking of stuff – I watched the video of Pivetta’s start the other day and his stuff was nasty including a wild 12-6 curve that flashes plus and a mid to high 90s moving FB – two very fine pitches. He has the highest upside of the current starting crew outside of Nola (I don’t view Arietta as a guy with “upside” – he is what he is). Yeah….but looks like him in his delivery. Maybe it is the girth in the body type and all, that reminds me of Sid. Of course, if Jakob would gaze up into the skies before his delivery, then it would be Fernando V.
I grew up as a Mets fan many moons ago and watched almost all of Sid’s starts. His FB command was so-so and his stamina was limited but he threw the ball “uphill” the first four or five years of his career which made it deceptive and virtually unhitable, even at 88 MPH. Never quite seen anything like it before or since. I didn’t see yesterday’s contest, but I wouldn’t judge Hernandez on just one inning of action in a spring training game. I’m more than willing to allow him to percolate through the system. I’m not saying he’s a slam dunk. I am saying the kid has a history of piling up K’s. I will remain optimistic. We will see, but the stuff I saw him throw yesterday would not work against major league hitters. I have just returned from Fla….saw some games…saw some TV games…and I have not been impressed with either Ramos or Milner……Zac??????? I was there at the beginning of the month. They didn’t impress me then either. I thought Zac Curtis looked better than Milner, but Curtis was just optioned to LV. I would love to see Franco have success with his new stance. I would also like to see Moniak do well. I never bought the argument that he needed to hit 15-20 Hrs a year. What I want to see is more of the line drive, gap to gap power that he displayed when drafted. You have to believe the talent is there, so it would just be a matter of helping in the mental aspects of the game. Franco breaking out and emerging as the Star he should be would be huge for this team. Would give them a ton of flexibility. Maybe you sign Machado as a SS and trade JP for pitching and play Manny at SS until Gamboa develops. Maybe you can flip Franco in the offseason. Maybe you don’t even sign Machado and aggressively go after pitching. I Believe if franco becomes the player I thought he would be, then don’t need Machado. rather get a tor arm. Use money and prospect for that guy. We don’t have one. If as Jim’s ears have heard that a Cesar deal is imminent, I believe Quinn would be back up. Nooo! Not a source, a friend thinks a deal is imminent. Kingery plays the OF too . Klentak spoke to the 97.5 The Fanatic this morning and confirmed the rotation – Nola, Arrietta, Pivetta, Vinny and Ben Lively. I guess that leaves the long man role between Thompson and Hutchison when Arrieta starts. Unless Lively struggles. That worries me the most and the least . VV health and efficientness to go more then 5 ings. PV too he can’t seem to go more then the second time around a lineup he needs a 3 Rd pitch. Arietta spitter looked nasty as is his slider. The Bp is alot better then last yr. I mean Morgan / Joey Rod, Hunter / A bad Ramos Arano,Milner, García, Neshek,Neris a yr more in the closet role which was a mess at the Beginning last yr.
Thompson, Hutch, Lieter are way better the relief last yr. Plus LV is pretty deep in talent too. It’s a small thing but I was very excited to hear that Arrieta wants to be with the team in Atlanta for the opener to support Nola and the team. This is a real team first guy who is embracing the leadership role. I think we’re very lucky to have him. And wait until he hits his first homer at CBP! … or he’s too “big league” to be left behind in Clearwater??? I don’t believe this, but it is another possible point of view. Jim, I get a sense that all of the players feel that this is a “Special” year. True but I don’t think that’s it. I think this is a uniquely close clubhouse of very young guys plus 5 veterans. Arrieta is really enjoying being the veteran leader of the starting pitchers and I think it’s a good thing. 82 wins is my goal. A winning season. Let’s go! And, the “hot issues in this site” always seem to be when two long-time participants disagree on a topic, both think they are right, and neither gives ground. I’ve seen it over and over when I monitor comments. The adversaries may change, the topics may change, but the discussion paths are eerily similar. But, let’s face it. The spirited discussion is what makes this site so good. i’m glad that Jim called this out. Debate is good, as long as you stick to the topic and don’t make it personal. we have our own subconscious bias on a particular matter and there’s nothing anybody can do about this. the beauty about the debate is that it takes care of itself at some point time — which unfortunately happens at some point in the future when the debate died down. Haven’t been around long enough I’m this site, lol but I can see that happening. For the record I’m more eye test than analytics… but I’m liking To rely on metrics more. My job in sales helps, but I know law of averages etc and their are always outliers and surprises. 30 years of watching 162 games seasons will let you trust your eye. Once I say Hoskins lay off the low and outside pitch for that has plagued this team for yesrs … I knew he was for real. You could see it, very easily, he has a superior eye/pitch recognition. He’ll hit for avg and power. Lots of contact. Going off stats sheets, I’m getting the sense Valentin is going to push out Florimon, and make it difficult to bring up Quinn once CeHe/Franco is removed. I’m not sold on Franco anymore. League has him figured out and he doesn’t seem to be able to make enough adjustments in his avg&obp to not make him expendable. Will see. I know Schmidt is high on him but I’ll give him 3 months to prove us wrong. A bad April and I’ll right him off. The extra two months is for good measure. A smart poster adds to the discourse on PP. A smart poster may sometimes ruffle some feathers. Solid posters provide good rationale for their opinions. I edited the above responses. No need to “poke the bear” in one case or single out guys who did add to the discussions. Hope y’all understand. I often get into spirited discussions on the eye test vs. analytics. My biggest peeve is the insistence on analytics trumping a player’s mental acuity. Cyber eye vs the human eye. mine is the misuse of analytics. it’s said this before that analytics is like a double edged sword — it helps when used properly and hurts you if you don’t. these stats are just a result of a mathematical equation/calculation – unless you get a good grasp of the rationale behind the math equation, use analytics with caution. Mine is the dismissal of analytics because it doesn’t agree with their narrative on a player…”Oh sure (player) looks great when you take into account WAR or other advanced stats, but I’ve seen him make boneheaded plays therefor he’s not a winner”. Nevermind that the good far outweighs the bad, we can just label them “not a winning ballplayer” and label anyone who disagrees part of “the analytics community” or “the WAR crowd” and dismiss what they say because all they do is look at stats and ignore the games. Jake hit very hard in 1st today – homer, doubles, liners all over, even outs. 1 K. Any thoughts as to whether he might need extended ST? I hate doing my Lewis Black impersonation with Doobie. He just singled and got nailed at 2b trying to stretch into a double….down 4 runs with 2 outs in the 1st. STUPID!! And who’s the baserunning/1b coach?!?! Have you noticed/heard which draft prospects the Phillies seem to be scouting the most ? I heard Klentak was in FL seeing players, Almaraz was here at UNLV/ASU last Tuesday. I know Kiley McDaniel tweeted (earlier this month) that a GM with a top 5 pick was in for a Logan Gilbert outing. I had assumed it was Matt Klentak. This may help confirm it. Johnny Almaraz was probably at the ASU game to see Gage Canning and a couple of relievers. Canning is the Sun Devils CF, and is having a monster season .460/.518/.717. He reminds me a lot of Lenny Dykstra. Don’t really see how the Phillies would have a chance of drafting him w/o a second or third round pick. The two ASU LH relievers I like are 6’5″ Connor Higgins (from Lehigh Valley, PA) and potential senior sign Eli Lingos. I mentioned Lingos last year as an interesting prospect, mostly due to a very funky delivery. I’ll post a video below this. The batter would get a clear look at his name on the back of his uniform (if ASU actually posted names on their uni’s). Hinkie…i just hope Johnny A. was not looking at anymore CFers…..UNLV’s CFer Kyle Isbel is making some noise. Yeah. I know nothing about Isbel, other than his stats I looked up. He is having a good season. Eric, from what I’ve gathered, Mize and Liberatore are probably the top two arms right now, with McClanahan and Hankins below them, and Rolison right there. Is that roughly how you see the top 5 now (provided they all stay healthy). Eric, given his body, Nolan Gorman really looks like a future 1B to me. How realistic is it that he sticks at 3B? I’d normally agree with you, but lately I’ve been thinking about this whole ‘reverse projection’ thing which, if you buy into it, is why I was light on Bo Bichette, Forrest Whitley and some other guys in the past. So I used to look at a guy like Gorman and think that because the body has backed up since last summer, it’ll continue heading in that direction. but if you like the player’s makeup and think he’ll listen when you ask him to get leaner, then you could argue his defensive profile has projection. To me … Nolan Gorman looks like a man, already. Gorman sure does look physically mature…not a typical 18-year old. And I think he could stay at third. He could be a quick mover in a team’s system. So guy on Eric’s chat name Hinkie asked the first question . Lol btw FL is Flordia ? So many starters that Eshelman and Leibrandt are at Reading. You can look at Jim’s rosters and the LHV and Reading web sites and they agree. Those rosters aren’t final assignments. They are mostly where players ended last season – mine and the affiliates. Although, some names are placed based on transactions I’ve seen. This year’s assignments are happening as I type. Players are having their “exit” interviews and receiving their assignments. The actual assignments will be kept secret until each affiliate can make the announcement to their fan base, like they tried last year. This was derailed when a player took a picture of the final assignments and sent them to a blogger friend (No, it wasn’t me. And, yes, I know who.) Part of the reason why we couldn’t get work group assignments this year, I think. Rosales just signed minor deal with Indians. Tommy Joseph at AA Frisco, Tex. Hot shot 23 yr. old at AAA. Just want to share this. For T-Mobile subscribers, T-Mobile is offering a FREE one-year subscription to MLB.TV via T-Mobile Tuesdays app. T-Mobile is also give out 25% off MLBShop.com and some other stuff. This is time limited so you may want to check out ASAP. Neris allowing base runner(s) on more frequent basis start to concern me. I know that he’s been good but I don’t really have confidence in him as a closer. If I remember, Neris is also included in my “To Trade Candidates List”. I like to see Seranthony healthy in 2018. He has the tools and ability and a complete fit with the Phillies time table to compete. So what team do you want to trade Neris to and what would be the return? This might be too late, but as soon as the offseason starts – I already offered Cesar and Neris to LAD for a return involving Mitchell White, Dustin May, Melvin Jimenez, Starling Heredia and some contracts to absorb. Option #1: Cesar + Neris for Kemp, Forsythe, White, May, Heredia, Jimenez and cash or PTBNL. Option #2: Cesar + Neris for Kemp, White, Heredia and May. Not sure if already posted, but Tommy Hunter to the DL. Also saw Werth to the Mariners. This is because the Rangers have a hot shot 23 yr. old 1B at AAA. Looks like Puk has a torn UCL. I knew Puk would have some type of injury. Lol but no Puk body type from many reports when he was drafted was a bad bodied pitcher.kind of like saying John Kruk was a bad bodied baseball player.that was one of the draw backs of picking Puk. Bear with me. Sometimes I need to unscramble my brain, and writing it down helps. For the past couple of years many posters have accused the Phillies of tanking. In my opinion, tanking is what the 76’ers did, because in basketball one draft pick can transform a loser into a winner. The Phillies traded their assets and got a boatload of prospects in return. In the previous two seasons, they signed placeholders in order to give the kids a chance to develop. I think that the call ups of Williams, Hoskins, Alfaro, and Crawford (and maybe an impatient owner) gave Klentak the impetus to “BE BOLD” this winter. I’m a little upset that Quinn was sent down, but I’m certain that he’ll be back up when the starters begin going deep into games. As I see it, there are two trades to be made before the deadline. Hernandez and Williams/Altherr should be moved, and no, I don’t hate them. Cesar is blocking Kingery. Why would you deliberately move Kingery all over the field to accommodate Hernandez? If anything it should be the other way around. With the idea of moving Williams/Altherr, I believe that Quinn is a better fourth outfielder than both of them. PSU will be the NIT CHAMPION after Thursday night. I said this organization has too many pitchers, right now Reading has 17. Agree. The pitching depth in this organization is insane. What happened to Ricardo Pinto (DFA’ed) this week is going to keep on happening to other once highly thought of hurlers over the next couple of years. Klentak needs to deal some excess arms for comp draft picks/J2 dollars/younger prospects. @hinkie – i agree. As i responded to romus and srussell below, GMs knows the value of a roster space and the implication of a player heading into YR 5/6. I understand that fans will hate it if GMs trade a player/prospect for something less than they expect, but for a team with a deep farm like the Phils, it will going to catch up and lose these players/prospects for nothing. I posted before that the Phils should look to what HOU did in trading non-superstar players for low minors with upside. Low minors, IFA $$, change of scenery prospects — common Klentak!! Well ,once you get a rotation and BP. It’s trade the rest. Most of the Phillies pitchers are really young. Plus there’s always injuries. Minor league cuts should happen pretty soon. Reading has way too many pitchers, many have to be released because Clearwater is loaded itself. Guys like Viza won’t have a spot. I’m also waiting to see where they place some position players. I wish Matt Klentak would have had more foresight to see this occurring with the surplus in prospects…specifically RHPers and OFers. And pitching brings back more value…….and in most instances, a CBA pick or more int’l allocation money. Which is targeted for prospects that are at the beginning of the 4/6 year pipeline. The Phillies, like the other dozen or so large market teams, are allowed to max out at a little over $8M in int’l money….go for it every few years. @romus – unfortunately, creativity and aggressiveness is not in Klentak’s DNA. His gameplan is to let everything to fall into places. i created an impression of myself here of someone who likes to trade everybody for a low price. because this is the scenario i don’t want to see, the Phils are wasting assets for nothing because they have no place for them. Pinto could have fetched a couple of low minor players, some IFA $$ money or a struggling once a high upside prospect who needs a change of scenery. So are the rest like Viza, Elniery Garcia, Leibrandt, etc. I understand that nobody wants to sell for less. But that’s where foresight comes in. I have a hard time believing they didn’t try to flip some of this depth. Theyve done it before with Hellickson, Morton, Kendrick, and to sign Jhailyn Ortiz, etc. How many of these guys are really coveted beyond the top guys? An example: We talked about trading Rupp… no team even claimed him or attempted to trade for him. Are teams going to give anything up for a marginal arm like Tyler Viza? The guys they’re really at risk of cutting and losing are going to be AAAA guys at best IMO. Klentak hinted at one of the press conferences he’s had this spring that he felt they were close to acquiring a pitcher earlier in the offseason. We don’t know that they didn’t try. The depth issues will fix themselves. If guys have to pitch at a level lower than expected, in the bullpen, XST. Injuries will happen. Agreed. The idea that teams are lined up to trade for the Phillies AA pitchers that can’t make their 12 man staff is foolish. The value of depth in the system is that it increases the odds of a couple of them become big league players. No one is trading something of value for a guy that can’t make a AA pitching staff. Even Ruben knew the dynamics of that philosophy in acquiring the added money to sign perhaps one of the Phillies best prospects…Jhailyn Ortiz. The trade with the DBack in july 2015, for two pitchers , Chris Olive and Josh Taylor who are long gone now I assume , netted the Phillies a cool $2.2M that gave him the added money to hit the $4M and one dollar signing for Ortiz..
You do realize the Phillies got international money for guys like Tyler Frohwirth last season ? Pitchers like Drew Anderson and Jose Taveras could/should be tradeable and bring you back competitive balance draft picks/J2 dollars/younger prospects. So you then agree that Klentak does have the foresight to move marginal talent for international money when the offers exist? Yes…..’a marginal arm like Viza’ could bring back at least $250K from a team like the Os who did not sign any Latin players two years ago and are willing trade partners . Have you seen past transactions between teams involving minor league pitchers? Most of them are not even in the team’s top 40 prospect list….and some pitchers in their mid-20s. By all means if there’s a team with interest in any of the guys great, move them. I’m all for it. What I mainly took exception to was criticizing Klentak for not having foresight to see this coming. I’m sure he and Joe Jordan did. Their goal all along has been to have a minor league system overflowing with arms and I’m sure they will trade for international money if the opportunity is there. If you and I think it’s a good idea I’m sure someone in the FO thinks so too. The top prospects will get the innings and the fringe guys won’t. It’s not really a problem in my mind. If they can get something for the guys with no place they will and if they can’t they won’t. as mentioned by HInkie below, the Phils get some IFA $$ for Tyler Frohwirth and Pinto, El Garcia, Leibrandt and Viza are better than Frohwith. I’ve been mentioning this numerous times that the market dictates the trade value. Klentak just need to look for the GM who has a need to extract value. Yeah, we didn’t know that they didn’t try or not, but seeing ATL, SEA, MIN doing moves and moving excess players for something just show that is a market. MIN got Oddi from TB for a player equivalent to Malquin Canelo or Jose Gomez. IMO these should be the six Reading starters. Romero and Suarez are superior prospects and would be wasting their time in the FSL. I would write their names in ink. This leaves out guys like Waguespack, Medina, Elniery Garcia and others who could go to Lehigh Valley or go to long relief. Also possible that Kilome and Irvin could start at Lehigh Valley. In any case, based on watching them pitch at Lakewood and in spring training I would start Romero and Suarez at Reading. I watched Requena yesterday in an A league game against Toronto. He is a prospect with talent. Not sure he is on the same level as a Sanchez, Romero and Suarez but time will tell. There is YouTube tape of Mills in an intrasquad game and bullpen session. The minor league roster I have lists 99 pitchers in camp. Pretty amazing. Tons of skinny lower level Latin kids that hopefully can be molded into something. Jim Salisbury seems to think Enyel De Los Santos will be at LHV. You need to place your top prospects first. De Los Santos is definitely one of their top pitching prospects so he needs to go to LHV (if Joe Jordan feels he’s ready for AAA, and I believe he does), even if it means a lesser prospect (Jacob Waguespack or Jose Taveras ?) goes to AA or AAA bullpen. I’m randomly sticking in this comment here regarding the affiliates’ rosters. Don’t forget that last season the Phillies made unprecedented use of the DL and temporary assignments to Williamsport (with its 35-man roster) in XST. Remember how we wondered about the health of pitchers who were assigned to WPT until their next start? Some of the pitchers mentioned above are going to start the season on the ‘real’ DL. And, one or more may have already been released. So, don’t hurt yourself trying to figure out rosters. Save yourself for when we question their decisions. i think one of the reasons that MK has been reluctant to trade off pitching surplus and thus is now in a log jam is other than NOLa, no one has stepped up either in starting rotation or even bullpen and really established themselves as consistent performers so he is reluctant to move talent that he may need to try in place of the Efflins, thompsons of the pharm system. srussell……I was looking at pitchers like Viza, Anderson, El Garcia, et al even Pinto. Not the pitchers like Eflin, Thompson, Lively or Pivetta types. They would not bring back much other than perhaps $250K or even maybe if lucky $500K in int’l money…but that money adds up and could help sign some younger Latin players. Orgs like Baltimore make deals like that to get more lottery arms in their system and give up their int’l money. @srussell – i disagree. Every GM knows the value of a roster space, especially the teams with deep farm and good scouting system. Once they put a player in the 40-man or reach YR 5/6 with the team, they understand that the leash becomes shorter to gauge the value of the player, otherwise, they will lose them for nothing. i was more than anything else trying to figure out an explanation for why MK has not acted in the way that many of you have mentioned with these surplus arms. Let’s see how fast the Kingery jerseys go. Kapler said he’ll be wearing the number 4. Really impressed with the new skip. He was on 94 this morning. LET’S GO PHILLIES! Going to Mexico. Domonic Brown has signed with the Monterrey Sultanes, joining Chis Roberson on that team….Cedric Hunter signed with Leon….Henderson Alvarez signed with Quintana Roo…..Domonic hits 1st HR last night! Klentak should target teams with weak farms or the low minors of the teams with good scouting departments. also, prospects who fell outside of the team’s Top 30 like MIA’s Kolek, KC’s Russell, etc. I’ll try to offer Elniery Garcia and Jake Thompson to MIA and get a gamble on Kolek and offer Viza to KC for Ashe Russell. Elniery, Jake and Viza looks like are not part of the future team so no value is really lost. Teams don’t want our trash. All teams have scouts. DBack gave up $2.2M in international money for RHP Chris Oliver and LHP Josh Taylor….and one of the Phillies top ten prospects was signed. Not bad for trash haul I would think. Very true, let’s hope it works out. Yeah what a great gesture by Ryan. Always was a class act. Ryan Howard is a good dude. The National High School Invitational Tournament is underway in North Carolina today. Many draft kids will be playing. The two most likely Phillies targets for 1-3, Nolan Gorman and Matt Liberatore are in action later this afternoon. Liberatore has added a slider, according to Eric Longenhagen. Thing to watch at Liberatore's start today: Multiple area scouts told me he unveiled a slider in last Wednesday's start. 82-85mph. Longenhagen (in his chat yesterday) ranked Liberatore as the second best pitcher for June’s draft (behind only Casey Mize, and in front of Shane McClanahan, Ethan Hankins, and Ryan Rolison). Matt was looking at your earlier post and said…. ;”what the hell” let me try it. Teams who overspent their bonus pools and limited to sign big $$ in the future should be an easy target for Klentak. I actually prefer to keep Pinto than Zac Curtis because he is still young, with a live arm and can pitch multiple innings. Pinto….and I would assume someone like Drew Anderson, who you like, would be attractive pitchers. Long shots, but maybe also Liebrandt, Viza, Tyler Gilbert, Austin Davis, and Elniery Garcia. But may only get $250K per each of them. My guess Pinto probably brought back a minimum of at least $500K. No, not Anderson unless its for Mike Trout!! There are other stiffs that Klentak dangle.— Lively, Eflin, Taveras should net a good amount of IFA $$ or some low minors prospects with upside. I’ll keep Anderson, he can be better than Eickhoff. Anderson will breakout in 2018. I’d trade Anderson for a comp A pick, provided Klentak could acquire a second comp A pick. Two comp A picks = the Phillies original 2nd round pick (#46 overall and worth almost 1.6 million slot dollars) because they lose their second and third picks this year after signing Santana and Arrieta. Austin Davis,Tyler Gilbert ,liebrandt ,Elniery Garcia are all lHP . Phillies aren’t loaded with them. LHPs sell better most times on the open market. Not sure they are considered the future in the org when considering Young, Falter, Romero, Fanti, Lindow, Mezquita, Parkinson, Hernandez and Irvin. yeah, after seeing our posts here!! lol!! Klentak should visit us more frequently then! Romus since most on here think Ce stinks. can we get international money for him?>? LOL……I would assume his value in international pool money is probably around $3M ….I just do not think any team will give up that much in one fell swoop for Cesar..
Phillies lost a cool total of $1M int’l money allocations in the Santana and Arrieta signings…..to go along with the two draft picks. My guess Matt wants to recoup those monetary losses and maybe even the 2nd round or third round losses. Romus … unfortunately, the Pinto dollars won’t count towards the 2018 cycle (when the Phillies are going to be 1 million dollars short because of the Santana & Arrieta signings). That Pinto money will be added to the 2017 cycle. I am afraid some of the best rated by MLB/.Jesse Sanchez, all have been signed. I’m not sure if it’s until June 15 or July 1. Not sure if that is still the way it is under the latest CBA. Hinkie…here it is…still June 15th. 2017 and end on June 15, 2018. Liberatore, today, went 7 IP, 1 H, 10 K’s. Looked a little shaky. I had heard his velo has been inconsistent so far this season … mid 90’s one day, low 90’s the next start. He was mostly 89-90 after the first inning today. Here are a couple of takes on Liberatore’s outing at the NHSI. According to Vegas over/under, more bettors are taking Phillies over (75.5) than any other MLB team. I think the Phils and Mets will switch places in the end. About right with Nats, Braves and Fish. Didn’t see his game today, but apparently Nolan Gorman had at least one hit. White Sox traded 31 yr. old 2B to Phillies, will play at LHV. Played all last year at Omaha. Shane Watson was released today. Pa – Pinto to K.C. for Intl. money. Anna traded for cash or PTBNL. Are you a lefty with (somewhat of) a cannon arm and a dream of being in the big leagues? It’s not too late – @gabekapler is looking for a left-handed BP pitcher to throw to our guys at CBP all season! Apply for this once-in-a-lifetime opportunity at http://phillies.com/BPpitcher . damn. 20 years to late!!! You just need ‘somewhat’ of a cannon arm….not the real deal. Though they are discriminating against knuclkers. I started with “somewhat” of a cannon arm”. Not close to somewhat anymore.. If Altherr has an all star season, we’re challenging the Nats. I’m a big fan. Altherr is really good at baseball – all of it. If he hits on all cylinders you’re looking at a pretty good approximation of Jayson Werth in his prime without the nasty surly attitude – Aaron can play!!! Get your cotton candy ready !!! That little girl is on some kind of sugar high ! Kingery will get in there I am sure at some point….assuming he is the one you are referring to. Oh yeah….forgot all about Doobie. Yes he could be a little disappointed not starting on opening day. And especially against a RHP. The analytic’s ‘coach’ apparently was the deciding factor. I am as pro-analytics as anyone but wow, Kaplar really does seem to be a guy who takes it too far and is at a high risk of losing his players. Have to agree…..swing planes and exit velocities determining who sits and who plays is a little too much for me to accept….right now….if they reel off 10/15 straight wins…then I am all in. But once injuries start occurring, some of that may have to go by the wayside. Minor league rosters plus cuts are being finalized today. A few things that I noticed…and there are more. He is higher on Jake Holmes than most, and that surprised me. And Nick Fanti is no where to be mentioned, along with Darick Hall. Holmes is the one surprise name on the list for me too. same with MattWinks – Fanti and Hall are in his Top 50. Another prospect that MattWinks don’t rank high is Jakob Hernandez. Holmes is from Zona I believe so is Eric L now. So he probably seen him alot. Longenhagen’s last sentence … “In four months, the Phillies might have a competitive, young big-league team and a good-looking farm system developing behind it.” That, my friends, is baseball nirvana !!!!! I think the phrase Klentak used was that he wanted to keep the prospects “coming in waves.” They have a good chance to do just that, especially with pitchers. Just spent a month in Clearwater and saw a lot of minor league games. The depth of prospects is impressive. Surprise me Santos is only 21 yrs old in AAA. Enyel De Los Santos….. I think he means…but he is now 22 years old. Murray … I’ll translate for you. Tim is saying he’s surprised that Enyel De Los Santos is only 21 YO and in AAA. It’s taken a couple of years, but I’ve become pretty good at decoding Tim’s posts (I think). Although … I do have to admit, I sometimes still get a little flustered when talks about “Cooch”. That’s when he’s actually referring to Carlos Ruiz (Cooch instead of Chooch). Tim’s a good guy. One of my favorites. Let’s be glad Tim didn’t try to SPELL Enyel de Los Santos. Ok guys, first game, first complaint. Nola pitching great, 6th inning, 5-0 game. Why take him out? I know Lefty vs Lefty, but pitch count was low. Of course, Freeman homered. Look around the league for opening day starters and you will see quick hooks everywhere. It’s a loooong season.. I doubt anyone pitching as well as Nola was taken out after just 68 pitches. If he’s lifting Nola after 5.1 innings, what’s he going to do when VV and Nick Pivetta are throwing ? I agree it was an inning earlier then it should have been but it’s not excessive based on other games around the league and I’ll go on the record now that I’m not a Kapler fan based on what I’ve seen from his interviews, the dopey flip-flopping of outfielders during ST, etc. He seems to be one of those guys that needs to be the smartest guy in the room..
some aces went just six, but had thrown in the 85 to 90 range; then there were guys like Lester and Carlos Martinez who didnt have it today. plus he knew Neshek wasnt available due to a lat issue. such an opportunity to get the season off to a positive start wasted- very disappointing. Tommy Joseph DFA by the Rangers…..maybe now it is off to Korea. This was to open a spot on the 25 man roster. Don’t know how this game is going to end, but to this point (end of 8), the over-analyzing by Gabe Kapler has been a complete disaster. Tie game after eight, and no Rhys Hoskins. How does he explain lifting Aaron Nola after just 68 pitches. Also, he said he would use his “best dudes” out of the bullpen at the most critical point of the game, yet he did not bring in Hector Neris in the 8th inning ? This whole play it day by day thing might work, but I’m not a believer. When one plays baseball every day for 6 months, some element of predictability helps guys prepare. As relievers, not knowing when the phone is going to ring for you can be unsettling. As a position player not knowing when you’re playing, where you’re playing, or where you’re hitting, can be a real detriment. I’m not a fan and I don’t think it will work. What really won’t work is him managing the bullpen this way. Chip Kelly pulled Nola too early then way overused his bullpen and did not put in his best relievers. If Kapler can’t win a game when he has everything going for him, what’s going to happen when he doesn’t? One game, but already confirming my worst fears. Hopefully this was just a bad outing. I’ll be interested in how Kapler explains pulling Nola and throwing the kitchen sink bullpen at the Braves. If he says the loss is on him and it’s a rookie manager mistake, fine. If he says, “Get used to it, fellas,” I, for one, will not be happy or hopeful. Neshek was not available which explains why he didn’t make an appearance.. The rest of the moves??? It all came apart with one poor decision in the 6th. And I don’t want to hear rookie managing mistake. 99.9% of the average slobs watching knew Nola hadn’t broken a sweat. Everything afterward were ripple effects. Compounding it was no Neshek. And we saw the beginning of the end of Neris as the closer/go-to late man. And bring Florimon to pinch hit instead of Kingery? Are you kidding me. I wish I could frame this page about how Philadelphia fans rush to judgment on players, coaches and managers. People hate him after ONE GAME? Really? The guy is not stupid (in fact, he’s anything but stupid), but he’s learning in real time that he’s going to have let common sense, statistics and a good feel for the game co-exist. And he’s going to have to learn how to manage personalities under trying circumstances. As the manager, you absolutely cannot be everyone’s buddy like a hitting or pitching coach. When your star centerfielder doesn’t start the first game, rightly or wrongly, you are creating an issue and dissatisfaction. But GOOD GOD, give the guy at least a few months to figure this out. It’s going to take a little while folks. He’s barely ever managed and now he’s managing a big league team. Like the players themselves he’s a work in progress. I hope Matt Klentak is happy. He just had to have a manager that was a very progressive, bold thinker. But baseball is a funny game. Sometimes the simplest play, the simplest strategy, is the best play. All this focus on analytics, and the manager forgot the eye test, which showed Nola dominating. Lol I could have spelled Enyel de los Santos . I was in a hurry and spell check didn’t like the name . I tryed 3 times finally I just put Santos. Phew hard to even look at . Nola cursing at 68 pitches pull your best pitcher on the team because of ” I really have no idea ” . Freeman is One of the best players in baseball. He can hit Lhp wow. 1. Ramos wasn’t good last yr in pressure situations . He walk walked Suzuki after being up 0 -2. Pass ball error scores another.then a another hit. 2.Markakis is 7 for 14 against Neris . You pull Nola but you don’t pull Neris. 3. Nick Williams Starts over Herrera . Williams looks lost at the plate today .then Kapler pulls Hoskins keeps Williams in. Not a fan of either Ramos or Williams. Ramos doesn’t appear to have the stuff of a modern day reliever. The new power righty reliever pretty much has to have a FB that sits at least 95 or 96 and touching higher – Ramos isn’t quite there and his breaking pitch is too inconsistent. I’m not a Nick Williams believer. I just don’t see the plate discipline to allow him to put it all together and, despite his speed, he’s a below-average fielder. His game is going to have to develop a lot for him to be valuable. I’m not seeing it in Philly for him. Catch, my outfield next year – Hoskins-Altherr-Harper. Not feeling William’s either, as much as I want him to succeed. As for Kapler, my biggest concern isn’t his poor decision making but his post game stance of this is how we’re going to roll with the bullpen, when he should have said ‘my bad’ on pulling Nola to early. I wouldn’t put too much stock in that comment. I think, as much as anything, he was trying not to throw his bullpen under the bus after the first game of the season. From that perspective, his showing confidence in those guys at this juncture made sense. Most parts of the Bullpen make sense .I like Morgan , Tommy Hunter, Neshek, Arano, Thompson. Neris , Ramos , Garcia I still have that ” please don’t put a fastball right down the pike in a close game or late in the game feeling” whenever they come in. Williams has really bad days at the plate . However he Bounce’s back quick . Understood, Catch, but he wouldn’t acknowledge his poor judgment on Nola. Yeah, but it’s really hard to do that without at least implying that he should not have picked those relievers and indirectly throwing them under the bus. He’s not doing that on opening day and he’s probably not doing that most of the year. Let’s see what he does moving forward. But let me be clear that, like most people, I didn’t agree with the decision. I would have liked him to provide an explanation that was better than the one indicating that Hoby Milner could get lefties out. Kapler let Nola hit top 6, then pulled him after three pitches bottom 6. Third time through the order penalty is a fine overarching principle. Nola had thrown 5 changeups to non-Freeman hitters when he was removed. He had tricks left hitters hadn't been exposed to yet in the game. Poor implementation of good ideas is still bad. Yep the scary thing I heard someone say on the TV Kapler letting his coaches script his next few batting orders. What about the hot hitters or slumps. Funny think Wathan and Thompson are on the coaching staff for a reason. I have said this before. but what to go on record. Kapler is a carnival barker. Time for Middleton to start looking for a gm who has won before. to hire his muscle bound guy with no baseball manager skills. Is imo a moron move. Pump up all your want,that they are loaded with talent. They don’t have that cant miss guy, The more I see Crawford, the more I see a 240 hitter, I said it before this team, especially under this gm and manager will not be near 500 team. I expect the intelligent, hardened baseball minds here to not jump to conclusions after the first game like the blowhards on the radio but alas! While I agree Kapler made bad (awful) moves out there, let’s not forget he is a rookie manager out there just as green as the team. It’s a long season and let’s hope he can find a nice middle ground between the analytics of flipping people around and having the same starting 9 every day. No one is getting fired after one game, not Klentak not Kapler. RELAX! As for the Chip Kelly comps, I don’t see it. Kapler has done an amazing job this offseason meeting with all the players, getting to know them, and building relationships. I think that will go a long way. I’m not calling for Kapler, not at all, way to early, but the last non move of the game was pretty fustrating. I get the sense that I’m not only in my intituion, that many of us knew a hr was coming, but sure We couldn’t prove it,but we could all feel it, minus Kapler. I dislike losing the season opener, especially in that way. A walkoff hr, with 2 outs in a matchup that should have been avoided, imho. On to game 2, better days are ahead. Unfair as it is, the season opener gets more scruntiy that other games, after all… we just fell out of first place!!! Justifiable anger at the moves of the manager. He is managing in a way that will get everyone upset, but I am sure we won’t see a change until he is uncomfortable with what is happening. He is smart enough to learn from mistakes. We will have to suffer as he learns his craft. Right now he is full of ideas, but his strategy looks robotic — all brain no intuition. Remember he is a new manager. Remember Terry Francona. He learned how to manage as he managed the Phillies. When he went to Boston he had made all the errors. Let’s hope he is a quick study and not a programmed manager. We all should learn from our mistakes and, taking a page from Doug Peterson, how to accommodate our moves and training to the strengths of the players. I guess , when managing many rookies, second year players and young vets, who have not won anything at the major league, you can convince them that managing by the first book of the SABR Bible is the proper way to go. I just find it hard to believe however, and just pure speculation on my part, but that the manager would not have pulled Arrieta out of the game, given if he were in the same situation that Nola was in yesterday. I believe Arrieta would have tactfully persuade the manger to wait. Brand new day. Giving Kapler one pass. But instead of being bold, let’s be smart. Trust me, he’ll need a lot more mulligans than that. All managers make their fair share of mistakes and he’ll make more than most at first just due to inexperience. The hope is that, over time, he can marry some old world common sense with new world analytical thinking in a way that gives the team a strategic advantage. Short of a player mutiny or a catastrophe, I’m giving him the year to work out the kinks. 162 games – not 1. The Phillies will likely give him at least that long unless he’s a toxic presence. I smell a disaster. After only one game, Kapler is trying to prove that he’s the smartest man in the room. He played the first game of the season like it was the seventh game of the World Series. Just as Nola earned the right to be the opening day starter, he also earned the right to make that call in the 6th inning. I don’t think that Arrieta would have been pulled in the same situation. I hope that yesterdays loss was a lesson in “How not to over manage a game” for Kaplan. Agree WaWa Mike….Arrieta’s pedigree would have given the benefit of the doubt and he would have gone as far as he could. Analytics is a tool and not the ultimate decision maker. As I said, it’s a double edge sword and unfortunately, Kapler got burn for it. I’m still a believer of the value and importance of analytics, and IMO, the letdown was more of Kapler’s inexperience as a skipper and lack of savvy that led to the poor decision making rather than the use of analytics. Nola is an evolving player and trending upwards. The quality of pitches, the CU in particular, is much better than before, so I will be skeptical on relying Nola’s past performances to predict his future abilities. Unless it s really obvious that Nola is hurt or not having control of his pitches, give him the chance to win the game for the team. Nola will be one of the most important players in their next run for contention so let Nola learn to put the game on his hand and/or overcome adversity. Comparing Doug Pederson to Kapler is asinine. Pederson made rookie mistakes with respect to his playcalling, but he never went out of his way to make ‘I’m smarter than you’ moves because of his ego like pulling Nola after 65 pitches when he was throwing a shutout, or having Neris walk a guy who was 1-8 in his career against him to face a guy who’s 7-14 career against him. Kapler single handedly lost that game for the Phillies last night, he needs to stop getting in the players way and stop trying to reinvent the wheel. Actually after the first game vs the Chiefs last year….Doug Ppederson was crucified if i recall for poor decision making, when they had the opportunity to win that game in Arrowhead in the 4th qtr. So there is some semblance of similarity as far has tactical maneuvering and decisions that did not prove to be fruitful, on the part of the head coach/manger in their opening game management. .
Correction…it was the second game vs the Chiefs last season. there was a 4th and 8 doug went for late in first half of Giants game early in season, that he based on what his analytics guy told him, that brought a heavy amount of criticism to Pederson. On another note, this bullpen is very concerning. If Velasquez continues to pitch 5 inning clunkers (while being lights out for the first 3-4 innings) they’re going to need to look into converting him to a closer. Benching of Herrera really makes no sense. Kapler in the Article said he’s exceptional defensive Centerfielder and a proven bat in the lineup. Kapler made it sound Like he was resting Herrera the first game off the season ???? Plus again he has the lineups made up a WK in advance . Is it possible to be too prepared for baseball. The most important skill a manager can have is in-game management. I hope Kapler adjusts or the Phillies might need a new Bullpen by mid season. I know the ideal situation is have Tommy Hunter come in 7th Neshek in the 8th both are hurt. Kapler knows Nola is Ground ball pitcher . The wind was really blowing out to center. He brings in Garcia another ground ball pitcher . Garcia is the only relief pitcher with a clean ing . Freeman has legit power. However Albies and Markakis did a really good of getting the ball up in the air . Kapler has to let himself become a good in game manger . He didn’t want to say it to the press or even to the player, but I definitely think he benched Herrera to send him a message – and, if that was his intention, then I’m okay with that. Herrera DOES need to be sent a message. It wasn’t the home opener so there’s that. I think he did try to send it and I think Odubel wasn’t listening. He’s listening now. Perhaps’ Doobie’s interpreter was on the Clearwater beach that day the message was sent and Doobie failed to get it! ESPN’s Jerry Crasnick surveyed 43 MLB executives on a number of topics. Regarding where Harper lands, 15 of the 43 say he’d likely re-sign with the Nats. 10 say the Phillies will get him. The rest are a distant 3rd and on. Crasnick also made a point of how noticeably well Middleton and Boras got along at Arrieta’s media day, and how that is something to keep in mind next winter. I was luke warm about Harper before but he’s becoming more appealing. Williams doesn’t instill confidence that he’s the future. And while I’m high on Hoskins and Altherr in lf and cf, left handed power will be needed at our local band box CBP. And I haven’t given up the dream when Hoskins returns to 1b, and Mike Trout joins Harper in the OF. Just thought I’d change the subject and hopefully the overall mood here today. What are you doing with Santana , keep Hoskins in LF ,Trout in Center ,Harper in RF. Santana can still play 1st base. Tim, Santana will be gone by then. I’m sure the roster will change dramatically. Yes Hoskins could stay in LF but long term? Of course, drafting Nolan Gorman to play either 3b or 1b could factor in as well. Can you imagine the thump this lineup might have in 3 years?!?! Ortiz too in 3 yrs maybe plus resign Santana. Hmmm Kingery, Knapp, Santana, Trout, Harper,Hoskins,Ortiz ,Franco , Jp. 8mark……you do realize if they draft Gorman, as their future third baseman, Manny Machado becomes stealth on their radar this off-season. Some say Gorman will out-grow thriud base…..right! In about 10 years I would think. Then, might as well go ahead and try to sign Harper. Now signing Manny as a shortstop could be a possibility and moving JPC to another position or another team is another alternative. But do not see that happening..
*Rafael Marchan as C is my long proximity sleeper. Good feeling about him. 8mark……everyone sells Deivi Grullon short…i would not. How long has Grullon been in the organization, Romus? Long time, came in with Jose Pujols signing J2 class….but just turned 22 last month and is at Reading….but catchers are a different breed of player….look how long it took Chooch. I heard in height Gorman might grow some more maybe 6 “5” 6 “6”. Do you mean 6’5″, 6’6″? Romus … IMO, Gorman (if the Phillies draft him) would be insurance against a Manny Machado opt out after five (?) years. Quinn, Valentin, Pullin, McBride (1B), Cozens, Walding, Ortiz (DH), Moore, Amarista (SS). I meant Irvin in the rotation and Casamiro in the pen. Foreign born players stats released by MLB. Phillies tied for third with 11. Rangers the most with 14. Kingery at 3b tonight, batting 6th. Doobie CF in 3 spot. Altherr in rf. For Reading – 5th starter?? Edgar Garcia? Suarez and Jo Jo join Kilome. Murray, where did you find Reading’s updated roster? 8mark…here is a prelm on LKW if interested. Looks like Brito stays at Lwood with Gomez to Cwater. Neshek has been placed on 10 day DL. Yacksel Rios recalled from Lehigh. I had the grandkids today, so my phone was on Kids Youtube, but I wanted to comment. I don’t hate Gabe nor have I given up on him. But, yesterday was overuse of analytics and under use of his eyes. He needs to use all his tools. Now Neshek was hurt bad enough to go on the DL today. Guys, it was after 68 pitches, a very poor decision. Let’s hope he learned. Did that several times this spring, Tim. His on base skills should work well turning lineup over to the top of the lineup. Theoretically. Lakewood OF: Matos, Muzzoti, Ortiz, Stephen. Reading OF: Randolph, Sandberg, Tromp, Coppola (didn’t see him today) Laird (he was taking batting practice with Reading). IF: Green, Canelo, Martin,Tomscha, Cumana (possibly). There was a guy named Bodnar with Reading. All of the above is unofficial and subject to change, of course. All of the pitchers are just too numerous to mention so here are some. Clearwater: Seabold, Quinn, J. Hernandez, Aaron Brown, Falter, Sanchez, Fanti (I believe he has been injured), Medina, I am guessing Mills and Requena will be here. Reading: Romero, Suarez, Kilome, Waguespack, Edgar Garcia. Don’t have a firm grasp where Dominguez, Tirado, Elniery Garcia and De Los Santos will be. De Los Santos is starting at LHV. Reading surprises are Edgar Garcia in the rotation, Jan Hernandez making the jump up, and no place for Singer and Denato, as well as Sandberg. Lots of cuts were expected so I’ll wait until the list comes out but some obvious names must be on it. Phillies assigning Simon Muzziotti to LKW is a leap for him. Assume he will be there until mid-June at least if he can handle it…if not onto Williamsport..
Yup, big move. Nieporte moves up also but he’s older. Picket bypassed. Picket has anyone see him play?? Haven’t heard much about him lately. Pickett is still around as of today. I thought he would platoon with Nieporte at Lakewood. Right now Pickett is in extended spring training but at some point he may get a promotion to Lakewood. Lakewood had a few cuts and then subsequent promotions last year. That Lakewood outfield will be fun to watch. All young kids. What’s the over and under # on relievers used by Phillies this yr ? Pre game and season I’m going with 10 per game about 50 for the season . MLB has made a special announcement any Game Gabe Kapler is managing will start 2 yrs early .Do too the length, 10 pitching changes per game on avg. 1.Milner will pitch in 112 games this yr but only have thrown 30 ings. 2. Morgan’s arm will fall off in mid June. 3. The Phillies will bring in 2 more long relievers. Kingery and a backup catcher will be the bench . 4. The Phillies announcer’s all ask for a full to e score card employee,Plus overtime pay. 5 . That’s some of my predictions for this yr.
Congrats on the Phillies first win. Let’s just hope VV can go 9 ings on A 68 pitches. Don’t forget Nova Nation. That’s on 68 phone pitches. We may have something in Hutchison, perhaps as a starter, instead of…. Pivetta, who’s better equipped for the bullpen. He’s pretty much cooked after 2 innings, for which he is usually fine. Kingery has a perfectly quick compact swing. What a future! And at what position will he play tonight? We’ll be needing a fresh bullpen weekly, at the rate Gabe is using it. Kevin Stocker is head and shoulders better than the other 2 Kevins as road radio color men. Cesar has impressed me at the plate these first 2 games. And I’ll resist the temptation to mention his increasing trade value….oops. I Believe your wrong on pivetta, he has the making of a good starter. Just has to develop more confidence. I admit when I am wrong. I NEVER thought this late in the season the phillies would be 500 team. I am surprise. they are playing 500 ball. …in fact, I’ll bet you Romus’ toupee that after 43 games (when the Phillies begin a stretch against more formidable teams) their record will be 25-18, maybe good enough for 1st place depending on how well the Nats are playing. No rug. there……now just remnants from once a great civilization, in the words of George Costanza. Good win! Pivetta has to go more than 4, although no quick hook last night, all on Pivetta. 2 blown saves in 2 games is not a good trend, but Cesar, Rhys and Kingery look very good. matt13……nine pitchers in eleven innings of work, sheeesh! And here I thought the position players would be kept fresh. Well i guess not using Nola, Velasquez and Lively last night is something positive to take…though Jake Thompson may be wondering what did he do, not to be called on. Saving Jake for multiple innings whenn VV starts! Pivetta does he have a 3rd pitch he looked out of gas after the 3rd. His Fastball which he throw 80% of the time was still at 96 mph but his control was fading.he really needs CU or spitter. Kingery , Franco, Herrera , Santana , Hoskins, Altherr , Williams Cehe have to be in the lineup everyday. Jp too some how You give players off days in the middle of August and September. Things usually work themselves out though not production or injury or trades. Tim, that’s NINE position players you mentioned for SEVEN positions, not including a catcher which you didn’t mention. How can they all play every day? ……where there is a will, there is a Gabe. He will do the analytical juggle. Since Hinkie late ,Brady rolled against Vandy. 7 ings 2 h 1 r 1 bb 11 I’d. Yeah. Singer had his best outing of the season last night against Vandy (a top 10 team). He was throwing 95 with good movement all night. Not to be undone by his teammate…Kowar went today got the win …6.1 innings, 5 hits, 3 walks and 6 Ks….no earned runs. I will like to see how Singer does vs Tenn on Friday next week. Arkansas more or less lit him up last Friday, and he had something to prove last night. In his seven starts so far….he has had 4 very good quality starts and three less than sensational efforts….but three of his last four have been plus starts, so he may be turning it around. Yeah. Arkansas has one of the top three or four offenses in college. They have three freshmen bats who will probably be first round picks in 2020. That has me thinking since Gabe likes versitily . When do we see an outfield of Hoskins in LF , Franco CF , Santana in RF. New baseball rules 4 outfields and executive decision on NL getting the DH . Catcher either Knapp or Alf. Yes and the Halo’s already have 2nd base trouble. I smell the Rangers calling about Mr Quinn and the Angels about CeHe . Kingery at SS could be interesting. VV with a very poor outing vs the Braves, root for him but always thought his role was the BP. Florimon pitched the 8th and looked better than VV. Where does one even begin to try and describe what just happened? A manager calling a pitcher into a game that hasn’t even thrown a warm up pitch. This is just embarrassing and unacceptable. Fundamental principles of managing failed. Shame on Kapler for being so unprepared, shame on Klentak for hiring someone without a clue, shame on MacPhail for hiring Klentak, and shame on ownership for allowing all of this to happen. This discussion is amusing – I no longer need to listen to WIP. Since when did this become a site about the major league manager? I’d be OK with the 15-2 loss, whatever it was, if they won the series 2 to 1. That is all i look at these days, is how many series does the team win, and well… then you add in not warming up a pitcher… that is truly laughable, and even I’m embarrassed for kapler. I’ll still give him a fair shot, I did with the other 3 coaches. With Vasquez, i want to give him more opportunities, but he is really looking like bullpen material, and I don’t have the faith in franco that i did before. For a long time he was the one untradeable players, and now … he bascially is #1 out the door. Just the eye test, gut feeling i got on them two. Its part of the whole picture catch. Why cant you see that? Do you want young kids on the team now. and later on managed by this moron. I have heard you talk about coaches in the minors maybe not getting the kids the best instruction. is this different? I guess in your mind it is. not in my world. When a manager doesn’t know if his bullpen guy is ready. that is a disgrace. he could hurt these kids. Would you like him to do this to sixto ? I thought his site was about the whole picture. guess not. So catch I guess we don’t talk about him anymore is your point? Well, this is the open comments section, so you can go on about the manager as much as you want. Personally, I find that discussion not to be all that relevant to what this site is about and I find drawing sweeping, damning conclusions about a very new and young manager after 3 games to be, in my view, kind of crazy. And, by the way, I was not one of the bigger supporters of the Kapler hire. I hadn’t and still haven’t made up my mind about him (yeah, I get it, you have made up your mind, you think he stinks and should be fired – I get it!). But my concern was less about decision-making (he’s not stupid – he’ll figure the little things out to a large degree) and analytics than it is about his personality. When he was hired, my first impression of him is that he struck me as a guy who believed he was smarter than everyone and was more than a little “douchey” and that over time, the players would see through that and grow apart from him. And his strategy of trying to appear to be everyone’s buddy – I’m not a fan of that either. I would also prefer to focus more on the players than the manager. He is either going to work out or he is going to get fired. Managers in baseball are among the easiest commodities to replace. You don’t think a guy like Joe Girardi wouldn’t like to manage this team? Of course he would and there are always guys like that available. I”m not too worried about that. The only thing you touch upon that I would be worried about is whether he might manage in a way that physically harms a player. But, really, I’m not too worried about that either – they are not going to tolerate a manager that truly imperils the health of their best young players. I just view this discussion of Kapler to be a marginally relevant cesspool of endless repetitive comments that get us nowhere. Crappy managers are exposed and get fired or improve and keep their jobs. It is what it is. I’d prefer to focus on the players. happened to flip to MLB network and i think it was Jim Bowden who was beside himself, about that, plus the poor fundamentals shown throughout the game by the team. So… How does the top of the 2019 draft look? Top 5 again, on the job training, growing pains, bring up Esch. I think Neshek and Hunter knew what was going down and decided to pull muscles. I don’t think they want too pitch in 100 games his yr.
Beside all of the poor play and decision making, how is one unprepared to have a long reliever ready when VV pitches? He has never shown an ability to go long into games even when he is good, which he wasn’t. Wasn’t Thompson rested for that reason? Where is bench coach? rocco…and Happy Easter to you and yours. Lets give then some time. you only get one chance to make a first impression and kapler’s has been embarrassing. klentak must be squirming. Some of you can play the WIP card and say some of us are being overly negative, but that is a cop out for a manager who can’t even handle the basic fundamentals. If it wasn’t for Jerry Layne’s good sense, Hoby Milner’s health would have been put in jeopardy. Kapler said he plans to use position players regularly as pitchers. Do people think bringing in Scott Kingery or JP Crawford to pitch the 8th inning of a blowout is a good idea in the future? How will you feel if Scott Kingery hurts his arm and misses two months because he was pitching? Of the 12 position players on this roster, 11 of them are either young, up and coming talent, or Carlos Santana, and none of the 11 should be pitching in blowouts. This is not being a “WIP” commenter, this is just addressing an unacceptable situation this management has put this team in. BB…I agree with you in one sense. His methodology and different approach can be harmful. 1. I hope he does not think thus season is a ‘grace’ period for him to experiment….fans have been waiting for five plus years for something close to a tangible winning team. 2. These experiments with maneuvering players….works best with 30- year old veteran players who have 5/6 years MLB experience …not on players with less than three years of MLB experience…and in most cases rookies or 2nd year players. And the position players as RPs is stupid, not avant garde, not bold, not finding value in the margins, just dumb. We are not being overly negative, just honest. Gabe’s start has been poor. I root for the team every day, and will continue to. But some things are incumbent on a Manager to get right. Screwing up the RP after VV failed to pitch 3 innings, is unacceptable. I dunno. I agree the situation with Hoby Milner was unacceptable, and I’ve no idea how something that fundamental gets screwed up. On the other hand, if the Phillies had the same result (i.e., losing 2 of 3 in the opening series against the Braves) while managing completely “by the book”, I suspect some folks would complain about that. Bak so its okay, If they won and he did these stupid things. still wouldnt accept his manager skills. really bad. Not nearly as much. we’re all used to the phillies losing, but how we lost those first two games was plain unacceptable.